Tanglewood is over 100 acres of good, well-drained land that is ideal for the agistment and spelling of all horses - Thoroughbreds, QuarterHorses, Stock horses, etc, etc. Short term agistment ranging from one day, a week or a month.
. Long term agistment for periods of six to 12 months and permanent. Pasture only, or with added feed, in accordance with the owner's requirements. TYPICAL AGISTMENT - pasture + 2 feeds per day. The spelling of racehorses between each of their preparations for the racetrack. Holiday Agistment & Care - Many horse owners have their own facilities for their horse, however, also wish to have a break and go on holidays. Tanglewood provides a "home away from home for the owner's horse" enabling their the owner to have a holiday knowing their horse is being cared for in a safe and proper manner. The owners can holiday free of any stress regarding the feeding and care of their horse. The result - A holiday for both owner and horse. 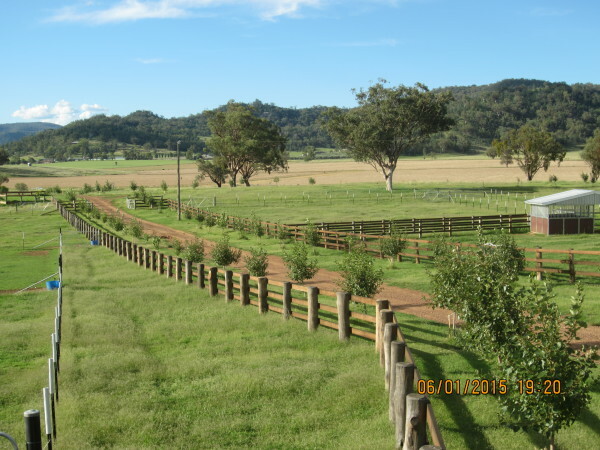 Facilities available for - Mares, geldings, Weanlings & Yearlings. 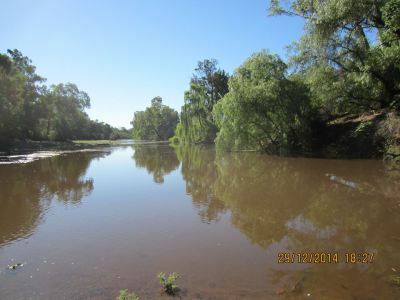 DROUGHT CONDITIONS- Due to current lack of pastures, agistment is limited. 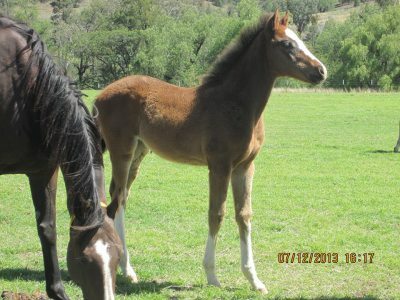 “I have a broodmare on long term agistment at Tanglewood and they have attended to her breeding & foaling-down. 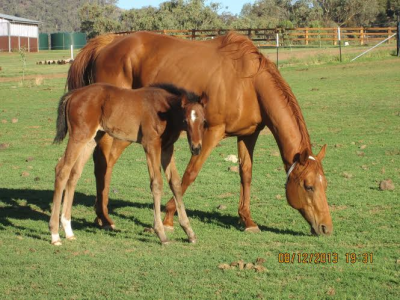 I am over-the- moon with my Dixie Prospect filly foal and am relaxed in the knowledge that she & her mum are well cared for and in great condition."